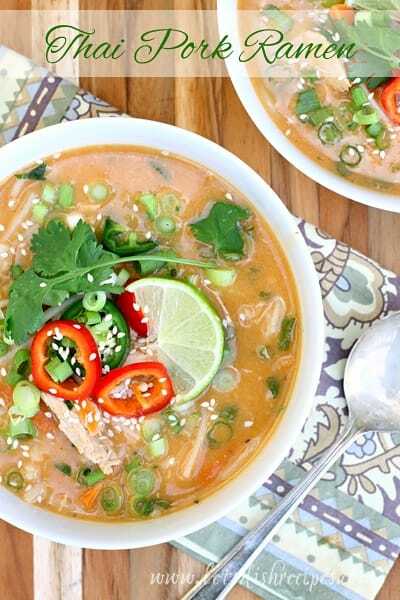 THAI PORK RAMEN — This flavorful, coconut milk based ramen-style soup is loaded with shredded pork, noodles and tons of fresh vegetables. You’ll feel like you’re eating at your favorite Thai restaurant! Whenever I make a pork roast, I always seem to have leftovers. Not quite enough to feed my family tacos or burritos with the next night though. Which means I’m always struggling to figure out how to use it up. Enter this Thai Pork Ramen! This soup is the perfect way to use up leftover pork, because really, it doesn’t matter how much (or how little) you have. This dish would be totally delicious as a vegetarian meal, so it’s a great way to use up small bits of leftover meat, whether you happen to have pork, chicken or beef. 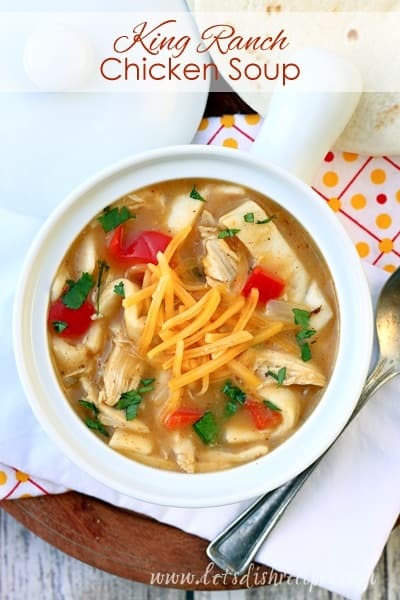 Not only is this savory soup a great way to use up leftovers, it’s perfect for hectic evenings because it only takes about 20 minutes to throw it together. Come to think of it, this is a great way to use up leftover veggies too! I’ve added just the basics here, to keep the picky eaters in my family happy, but there’s really no limit to the additional vegetables you could add. I highly recommend mushrooms and bean sprouts, if your children will allow it! Basically, you start with a chicken broth and coconut milk base, then toss in your veggies, meat and some rice noodles and simmer everything until the noodles are done. And if you can’t find rice noodles, regular spaghetti, or even linguine, will work in a pinch. This is definitely one of those soups where I kind of just toss in what I have. So don’t be afraid to make changes and additions to suit your family’s tastes. The recipe is just there to serve as a guideline. 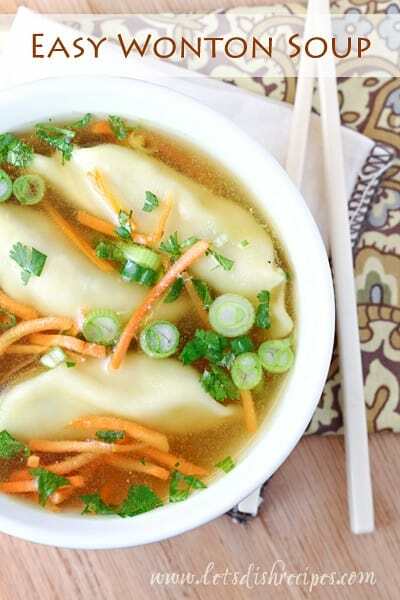 One thing to note, you can make this soup as spicy (or not) as you like by adjusting the amount of red chili paste and cayenne pepper you use. I like to serve sliced jalapenos on the side for those who like it really hot, along with other garnishes like chopped green onions, cilantro and lime wedges. 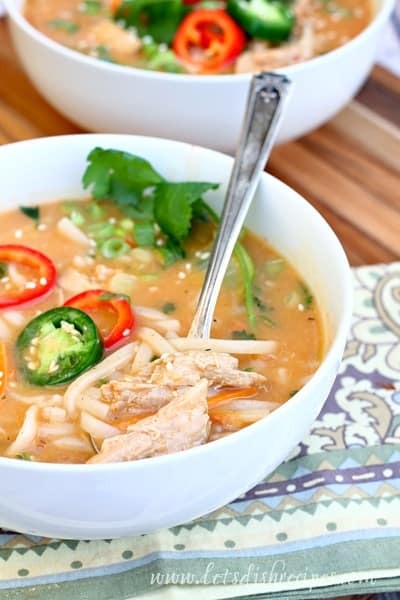 Be sure to save this Thai Pork Ramen recipe to your favorite Pinterest board for later. 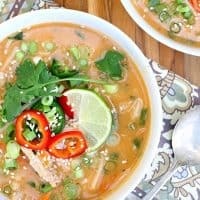 This flavorful, coconut milk based ramen-style soup is loaded with shredded pork, noodles and tons of fresh vegetables. 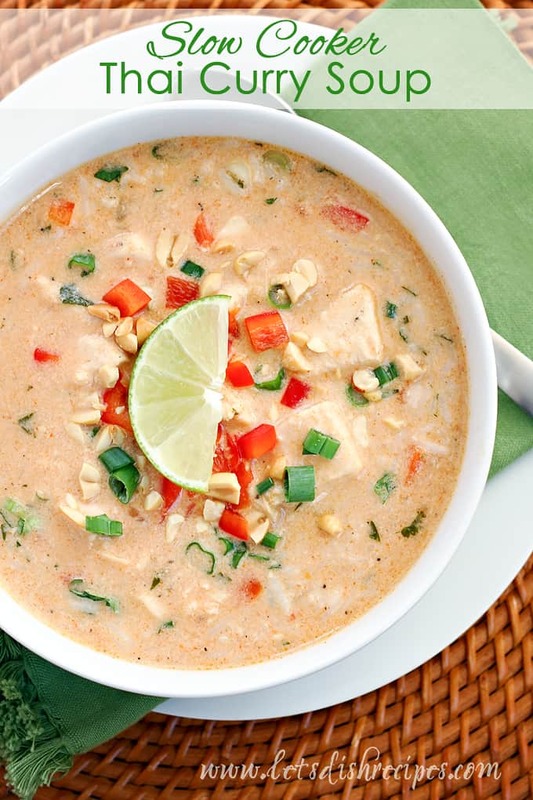 You'll feel like you're eating at your favorite Thai restaurant! In a large stock pot or dutch oven, heat the oil over medium heat. Add the chili paste, garlic and ginger and cook for a few minutes, until fragrant. Add the chicken broth to the pot and bring to a boil. Add the rice noodles, carrots and shredded pork and continue to simmer until noodles are just tender, 7-10 minutes. Season with salt and pepper, to taste. Stir in cayenne pepper and coconut milk and return to a simmer. Just before serving, stir in the lime juice, soy sauce green onions and cilantro. Ladle into bowls and top with optional toppings, if desired. This was a lovely and easy, quick week night recipe. Thank you!